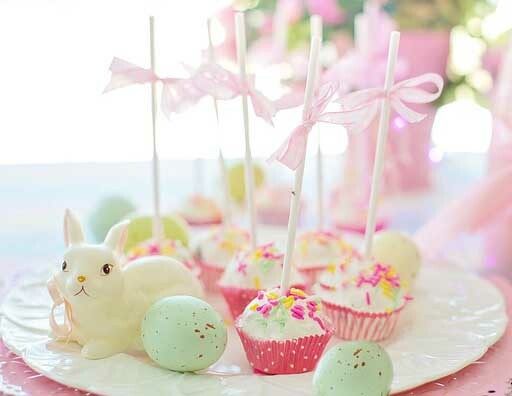 Many of the themed ideas for Easter baby shower cakes and cupcakes we have to share can easily be decorated using a selection of the abundant decorations on display this season. Look no further than the seasonal aisle at the discount stores for Easter Bunny and carrot shaped candies that will take homemade cupcakes and cakes to the next level. Starting from the smallest of Easter baby cakes and working our way up; here we have an enticing arrangement of cake pops. 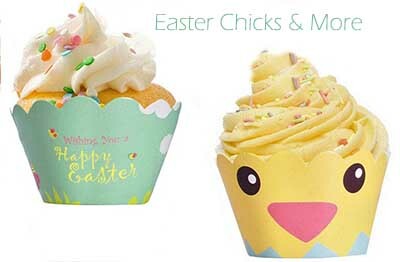 Go here to get all you will need to make your own Easter baby cakes! Candy Easter eggs in blue speckled with brown fall in line with one of the most popular color schemes for a baby boy shower as well as a shower for a baby girl. A white bunny figurine or rabbit shaped candle completes the theme and will make a lovely favor for the guests when the party is over. Speaking of Easter Bunnies, the Peter Rabbit baby shower theme is an excellent choice if mom is expecting a boy. 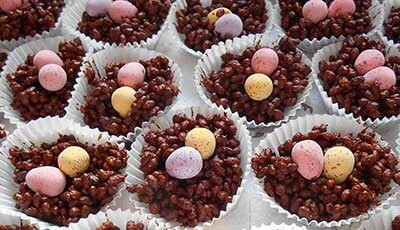 Use chow mein noodles and candy eggs to make chocolate Easter egg nests. Choose the colors of the eggs for any color scheme you like. They are adorable, perfect for the season and delicious. Here is a reliable recipe. Many themes that are used year round are adorably appropriate for the Easter season. Perhaps the easiest and yet still festive treat of all is your everyday cupcake, baked and frosted as usual that have been bedazzled with a few candy eggs. 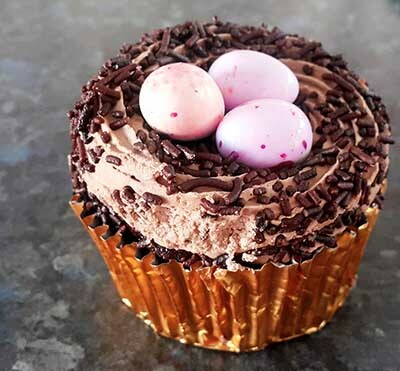 Create a nest for the eggs with chocolate sprinkles or allow the frosting to surround them in a fluffy swirl of homemade goodness that are sure to impress guests with both your creativity and thrifty-ness. One important key to successfully converting a plain old cupcake to one fit for the party table is the wrapper. A pretty themed wrapper in your chosen colors for the event is as important as the topper and decorations. Check out these wrappers featuring the Easter Bunny, baby chicks and festive greetings and quotes. 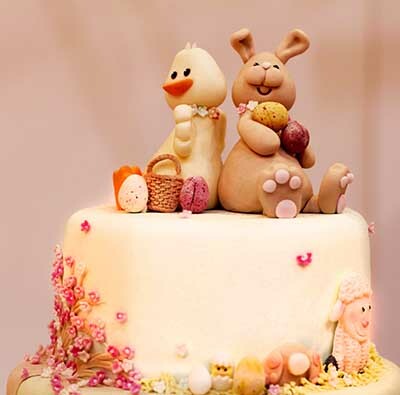 Feel free to share your own ideas for homemade cakes for an Easter themed baby shower using one of the submission forms here on Unique Baby Gear Ideas.